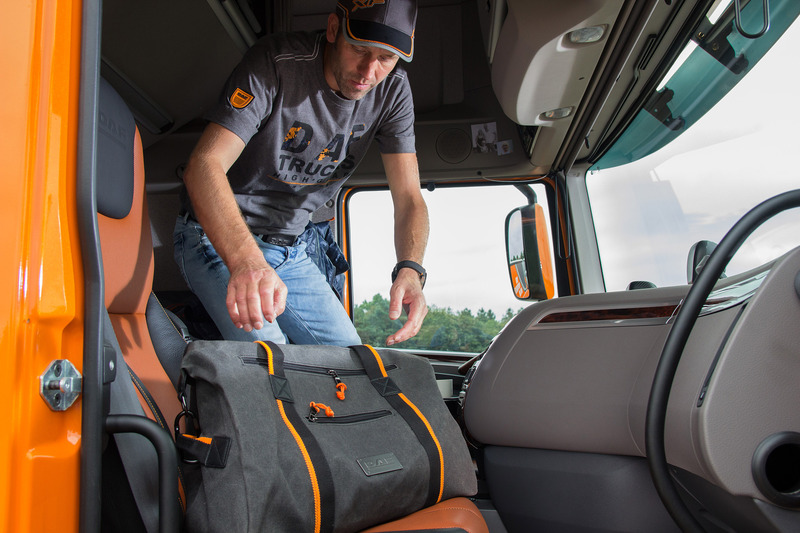 DAF Trucks introduces the new High Gear collection - DAF Trucks N.V.
DAF Trucks presents a completely new High Gear clothing line, complemented by elegant accessories and gadgets for anyone with a DAF heart. All items are available to order now via the webshop of DAF at www.dafshop.com. Innovation and high quality is not just the starting point in the development of DAF trucks. It’s also the principle behind the design of the new High Gear collection. The collection includes a great range of items, from a jacket that can be worn year round, to a protective sleeve for your tablet and an elegant ladies’ watch for DAF female fans. The new clothing is characterized by subtle orange touches like the zip tags and a small badge on the sleeve. Each fashionable garment is designed for the best fit and highest quality and for a seamlessly fit into the clothing trends. The waterproof (and for the ladies, fitted) soft shell jacket is a good example: the jacket’s wool look high-tech materials, make it as weatherproof, as it is both bold and modern. 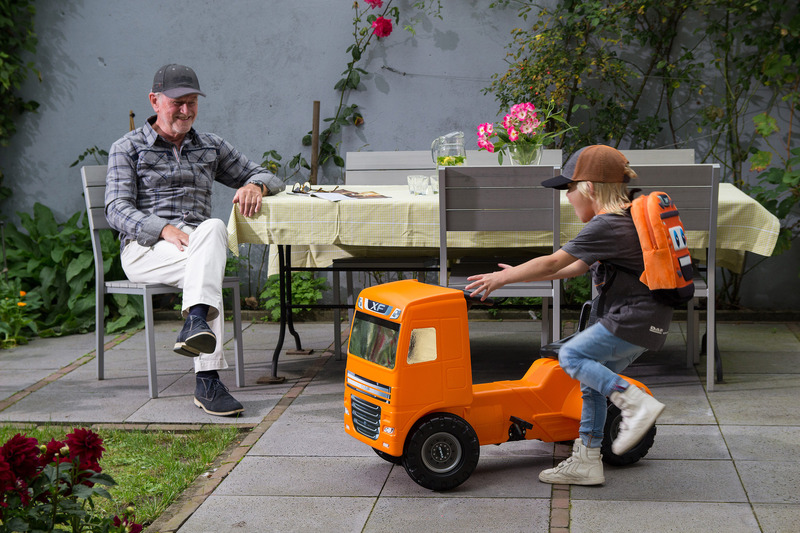 Since it is a real DAF tradition to present an eye-catching children's collection, it goes without saying that DAF Trucks has developed a separate High Gear line for kids, including shirts, hoodies, a windproof jacket, a warm winter hat and a cap. Moreover, the shop offers a new, cheerful and eye catching DAF kids’ backpack, and a funky romper suit. Of course, the best-selling DAF Ride-on Truck and children's tableware set are still available. The popular watch collection has been supplemented by five new watches, for him and her. From modern sporty and beautifully classic to sturdy watch cases with a 'Construction' design. 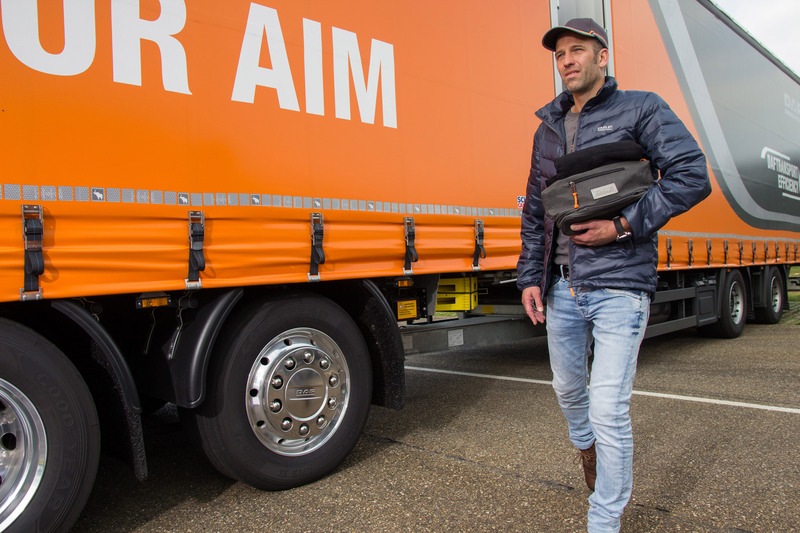 Finally, DAF has introduced a completely new design of High Gear bags and organizers: The practical travel bag, toiletry, cosmetic bag and the tablet sleeve all come in fashionable and practical water-resistant waxed canvas.